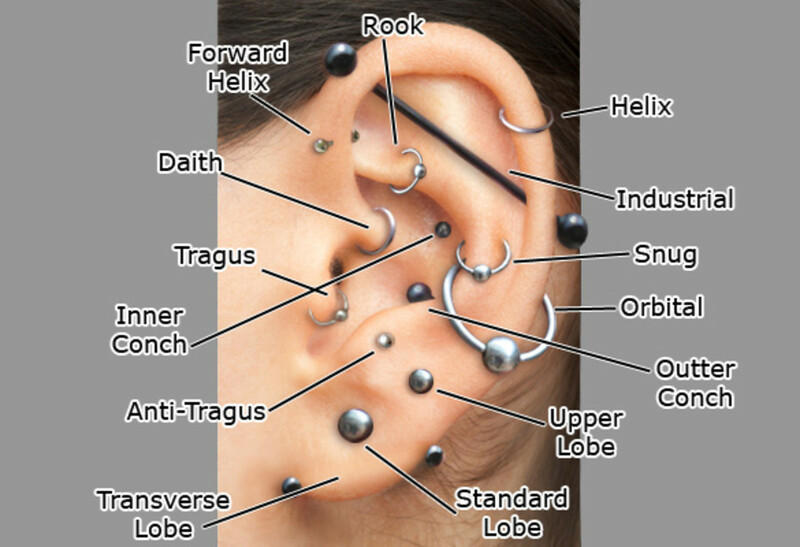 The popularity of body piercing requires that those considering doing it to think about the things that are common sense practices in order to protect themselves from the not uncommon infected piercings and piercing problems arising from the process. For example, before you ever allow a needle to touch you, you should insist upon being cleaned with a solution that ensures if something touches you where you're being pierced, nothing will be inserted into your body because of sloppy practices. Piercing needles are another part of the piercing process we need to look at, as they need to be clean and free of any contaminants that could cause us potentially serious infection and harm. If we think in terms of what we would do in any typical situation to protect ourselves, we can watch for any type of practice that may do us damage. While we must be aware of what happens before we ever start getting pierced, we also must remain vigilant afterwards as well. Because if we've missed something, or an unexpected infection or soreness arises, we must be ready to take care of it as quickly as possible and not allow them to continue on, thinking it's just something that is part of being pierced. There will be soreness in most cases, as that is simply part of having it done to us, but anything more than that should be watched very carefully, especially if fever of any kind accompany it. In that case we should see a physician asap. If you're sore after being pierced, no matter where the insertion was made, the best way to take care of that is by applying some ice to it. That should take care of most of the problem if there are no other complications involved. It can be different depending on the sensitivity of the area, such as tongue piercing, nose piercing, belly button piercing, ear piercing, lip piercing, or any other sensitive area. Another factor is the pain tolerance of the recipient of the piercing. Piercing infection can happen in any area, and we must not ignore it, even if we do have a high tolerance for pain. Again, probably the most important factor is the fever aspect, as pain in general is hard to gauge with the inevitable soreness, and in a number of cases - sensitive areas - that will without a doubt experience some discomfort from the needles. This doesn't mean we are to be fearful and in torment about the process, what it means is even though you're getting the treatment in what looks like a clean atmosphere, you still must watch what's happening, as it's really a type of medical procedure, and that means there are potential risks that accompany the procedure. So piercing aftercare is mostly similar to any medical experience we have; watching for infections and fevers, and observing where we've been pierced, even if they are more than one place. That's just good practice, and don't assume everything is ok just because nothing happens immediately. Simpley be aware that it needs to be watched closely until it heals and all danger of possible infection is past. One of the more irresponsible aspects of body piercing is thinking it's done in something similar to a tattoo parlor and so the idea of nothing could happen is part of our thought processes, even when the potential risks are real. This isn't to say the risks aren't solvable, or that negative results can't be healed or taken care of, but it's the neglecting of them that can cause the problems. The attitude is out there by some that there's nothing that could really happen from being body pierced, so we have a nonchalant attitude that could be harmful if some side effects emerge from the piercing. Be aware that body piercing aftercare is primarily watching more than anything, and once your piercing is healed you can be a little less vigilant, although it never hurts to keep watching to see if everything remains okay. This also must continue on if you somehow rip open or tear the place you've been pierced, as that's no different than if you were pierced again with a needle, so the observation period must begin again if some type of accident causes that to happen. Yes I agree MR - that is keloid scarring which is very hard to treat and is an aggressive form of scarring that continues to grow with fibrous, tough tissue - you can get this continuation of scarring from an initial infection though or picking at scabs from piercings etc so always good to practice good strict aftercare :). Keloids can grow for years and years as it's the body's way of healing itself but this mechanism never 'cuts off' and they continue to grow. Some people don't need another hole in their head! How does someone let an infection get that bad (first image) with out going to see a doctor?!? I mean really it's not like bam that happens over night I got a skin infection around my industrial not even the size of a pea and I went straight to the doctors who put me on antibiotics. NO kidding! People need to be more careful! Don't make the mistake of thinking any old needle and ring will do the job! Be sanitary and have a professional do it or that could be you! and i bet u will spend more money in the hospital with an infection than you will on a $45 piercing! Oh MY!!! That infection picture just terrified me! GEez! Great hub! It is so important to make sure things are sanitized!